Fives will be present at the EXPO MANUFACTURA, a premier event for manufacturing technology. The EXPO MANUFACTURA show is the a key event for the industrial sector of the northern Latin American region, which is an engine to drive growth in the industry for Mexico. This event will connect over 9,500 industry leaders in the Latin American region from small to large manufacturers who are seeking key production solutions. 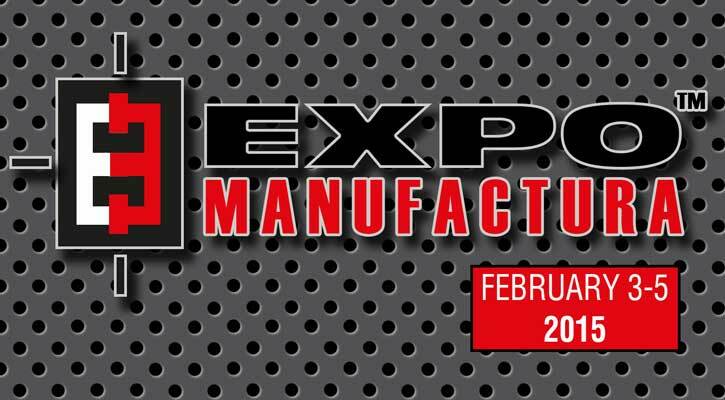 This event will take place at the Cintermex center in Monterrey, Mexico, from February 3-5, 2015. On this occasion, Fives will present ultra precision manufacturing solutions for key industrial markets such as aerospace, automotive, defense, heavy equipment and medical. Fives will showcase its pioneering innovations such as Cinetic and CFC automated handling systems, CITCO and Gardner tooling and abrasives solutions, Landis and Giustina grinding & ultra precision machines, Cincinnati, Line Machines, Forest Line and Giddings & Lewis metal cutting & composite technologies and OTO, Abbey and Bronx tube and pipe mills and finishing solutions. Join Fives at EXPO MANUFACTURA 2015 and discover the latest advances in manufacturing technologies. Visit us in booth 1025 to learn more!